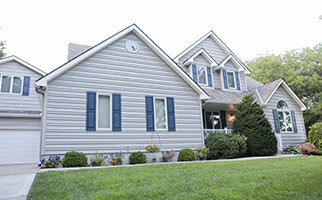 Construction Unlimited, LLC has been in business more than 35 years. You can't stay in business that long unless you are satisfying your customers and doing things right. Just as word of mouth gets us a lot of jobs from satisfied customers to keep us busy; so would word of mouth from disgruntled customers run us out of business. The fact that we are still here after 35 years speaks volumes about us. We are a family owned business, and as a family owned business our good name is important to us. We belong to the same community, and you are our friends and neighbors. That is why we take our workmanship personally. In asking for your business, you can be assured that we will do our very best to add you to our growing list of satisfied customers. We proudly serve Port Clinton, Ohio and the surrounding areas with the finest in craftsmanship and professionalism in the work we undertake. We pride ourselves in impeccable results because no detail is too small to overlook. Quality will always be JOB ONE! 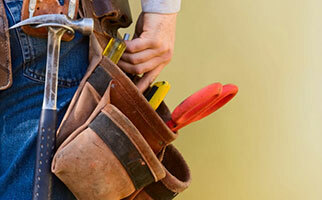 Construction Unlimited, LLC is fully licensed and insured. We guarantee our services and if one of our services is not done right for whatever reason, we will come back, fix it, and make it right! Want to make some home improvements? We specialize in kitchen & bathroom remodels and room additions. Looking to change the look of your backyard or porch? 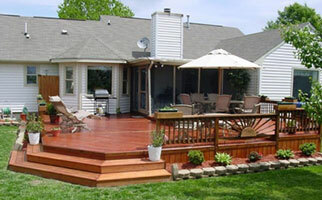 We can build you a backyard Deck that you will be proud of! Looking to make your home more energy efficient? 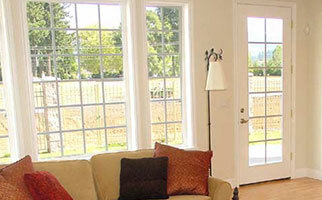 Replacing your windows & doors is a great place to start! If you are building a new home, or if you are interested in a new roof, or new siding for your existing home, you may be asking yourself what types of materials are best for your project. We at Construction Unlimited, LLC are at your service to help you with the correct choices for your home. It is no secret that your home is your biggest investment. And there is little that you can do to add significant value to that home, other than a deck. There is no better way to reward yourself with a wonderful place for relaxation and leisure. At Construction Unlimited, LLC, we feel that the most important thing, when you are considering a home improvement or a remodeling project, is that it be built with the quality that lasts. This would seem like a no-brainer, but many companies will whittle off quality to lower cost so as to get a bid. We guarantee that we will treat you with honesty and integrity about the costs, and we guarantee a fair price. Investing in energy-efficient windows not only saves a dramatic amount of heating and cooling costs, but new windows also increase your curb appeal. Your front door is the first thing that visitors and passers-by see, and you want your door to make a strong statement. When purchasing a front door, you should consider the security, durability, and curb appeal that it offers. Call us today at (419) 341-3643! !